Did you know that there are several different types of coffee grinders? When you’re learning how to find the best coffee grinder, you may be surprised that it’s not just about which brand creates the best products, but how the products are designed and what they can accomplish. Flat vs. Conical: What’s the Difference? So Which Coffee Grinder Is Best? You can buy ground coffee at the store, so why do you need a grinder? First, freshness. This is even more important if you’re making espresso at home. With coffee, you can get away with not-as-fresh beans, but fresher is better where the flavor is concerned. It doesn’t matter how you’re brewing it. Another reason you should own a grinder if you’re interested in making anything more than the most basic pot of coffee is control over the grind size. Your options will be limited in the store. You might get lucky and be able to purchase the right grind of your favorite coffee online, but it won’t be as fresh once you consider the time it will take to mail it to you. If you like variety, being able to grind just the right amount of coffee at a time for an automatic drip brewer one day, a French press or Aeropress the next, and espresso in the afternoon is important. You probably don’t need three different bags of coffee in three different grind sizes sitting around. In most cases, that kind of stash would go stale before you made your way through it all. The starting point when you’re learning how to find the best coffee maker is: blade or burr? There’s also the manual or electric option to consider. If you can afford to pass over the blade grinders, do it. These won’t give you a consistent particle size and they heat up as they work, which has a negative impact on the flavor of your coffee—the blades can actually burn your coffee, and nobody wants that. Blade grinders have their blades attached in the center of the grinder. Those blades spin—fast—like a propeller in the middle and grind up the coffee. Though these are usually electric, you can sometimes find blade grinders you operate by hand. That would give you more control over the speed and solve some of the issues you run into with blade grinders. For the best results with a blade grinder, you’ll need to pulse it and/or shake the grinder gently as it works. This will increase the odds of an even grind. Pulsing may decrease the likelihood that the coffee beans will be burned. Using a blade grinder to grind coffee for one or two cups can be a challenge, too. It will be hard to get the consistency you’re after, it may clump up in some areas and not others (contributing to that lack of consistency in the grind). The bottom line: These are less expensive and often work faster than burr grinders, but they’re kind of a pain to deal with and they might burn your coffee. If you care enough about your coffee or espresso to grind it fresh at home, you care enough about not having burnt coffee beans with their flavor destroyed. Blade grinders are the fast food of the coffee-making world. They’re quick, cheap, convenient, and can get the job done, but you don’t get the quality you deserve. That said, if a burr grinder is not an option, you can make it work with a little extra care and attention. Burr grinders are the way to go if your budget allows. They won’t heat or burn your coffee (at least not as much as blade grinders), but they do work a bit slower. There are a few different options within the burr coffee grinder category, so you’ll need to narrow it down quite a bit even after you’ve decided to go the burr grinder route. When you choose how fine or coarse you want your coffee, you’re moving the burrs closer together or further apart. If you’re low on space, a manual burr grinder may be your best choice. These tend to take up less room than the electric ones. They’re also less expensive. Of course, manual means more work for you, but if you have the time and energy, it’s worth it. If you go the manual burr grinder route, you can expect to spend about three minutes grinding your coffee. You could grind the beans while you heat your water. This may not be a hassle for some people—especially those who enjoy a leisurely morning routine—but it’s not for everyone. Electric burr grinders will be better for you if you’re going to be making espresso regularly (who wants to manually grind their coffee beans to that level of fineness?). The price will range pretty widely. Some models are under $100.00 while others are several hundred dollars. An electric burr grinder will cost more but you won’t have to grind the beans by hand. Electric grinders will grind the beans more quickly than manual grinders. These are technically the “best” types of coffee grinder because they cut and grind the coffee the most consistently, but they’re also the most expensive. These use discs (sometimes called flats or flat plates) or cones with serrated edges to get the job done. Coffee beans fall between two pieces and then one disc or cone stays still while the other one turns. Purchasing a disc/flat or conical burr coffee grinder isn’t absolutely necessary to have delicious, quality coffee, but it’s nice to have if you have the money to spend and want to get as close to absolute perfection in your cup as possible. There are some inexpensive models on the market. You may see disc grinders referred to as “flat” or “flat plate” burr grinders. So what’s the difference between flat and conical burr grinders? Particle size. The flat plate burr grinder will give you uniform particles, while the conical burr grinder will give you large and small pieces. There won’t be so much of a difference that it’s obviously noticeable to the naked eye, but it’s there. Flat burr grinders are best then, right? Well, no. If you need to slow the water flow (the way you do when you’re making espresso), the different particle sizes will play an important role. Think of a jar that holds rocks that are all the same size. What happens when you add smaller pebbles and shake the jar? And then sand? It’s the same concept—the smaller particles fill the gaps and prevent the water from flowing through too quickly. If you do want to have a flat burr grinder and you make espresso on occasion, you’ll need to pull longer shots (on machines that allow for you to have that kind of control) or go for a finer grind than you normally would. You really can’t go wrong with either of these. There are pros and cons to ceramic burrs and stainless steel burrs. If you’re looking for longevity, the ceramic could be the type for you. However, it’s easier to chip ceramic burrs, so stainless steel may give you a little more peace of mind. Worried about heating up the beans as the burrs work, though? You’re going to find yourself leaning back toward ceramic burrs again; they’ll create less heat. That said, if you’re just trying to find the best coffee grinder for home use, you’ll be fine with stainless steel. Bonus: Coffee grinders with stainless steel burrs tend to cost less (unless you’re comparing a manual coffee grinder with ceramic burrs to an electric one with stainless steel burrs). There is one potential benefit to ceramic burrs, but it’s probably not noticeable enough to most people to justify the extra cost. The coffee may have more body and a slightly different mouthfeel than coffee ground with stainless steel blades. Based on what you know about friction and heat and how heat affects coffee beans as they’re being ground, high-speed grinders sound like the ones to avoid, right? In this case, the high-speed ones can be great; they’ll move the coffee through so quickly, there won’t be time for burning. Usually, when you see a high-speed coffee grinder it’s three things: expensive, direct drive, and of the flat burr variety. Even though it’s faster, it’s also typically quieter than your average grinder. Low-speed coffee grinders are usually conical burr grinders, louder, and less expensive than high-speed grinders. It is true that the lower speeds create less heat, so that’s a perk for those on a budget, looking for something that will give them superb coffee without a huge expense. If you’re just looking for the best coffee grinder to use at home, you’ll do well with a direct drive grinder, which has a low-speed motor compared to the gear reduction grinder counterparts. They don’t put off a lot of heat or cause a lot of static–which can be incredibly annoying when you’re trying to get coffee out of the container it was ground into. So why do gear reduction grinders even exist? They can handle the higher-speed, more powerful motors that coffee shops (or even some offices) need to work through all the beans they need to grind in a day. Dosing versus non-dosing coffee grinders is exactly what they sound like. A dosing grinder will push out the right “dose” for your needs, directly into a container like a portafilter, when you pull a handle. These keep the ground coffee divided up into sections, ready to be used. These can be a little messy to use and require more time spent cleaning (because there are more parts). They’re also more expensive than non-dosing grinders. That said, they’re more precise and consistent than non-dosing grinders. Non-dosing grinders don’t separate your ground coffee into “doses.” They just grind directly into whatever you’re trying to fill, whether it’s a portafilter or a larger container. Some non-dosing grinders come with their own storage containers to grind into. It’s up to you to measure the correct amount for the drink or drinks you’re making. Whether a grinder is stepped or stepless just says more about how its settings are locked into place. You’ll either feel a click with each one or you won’t, and one will give you more control over your grind than the other. Stepped grinders will probably make beginners feel more comfortable, as they’re not quite as advanced as the stepless variety. For each grind size, you’ll hear and feel a “click” as you turn the dial. These “steps” hold the settings you choose in place as the grinder works. Self-holding grinders have a knob that clicks into each place as you turn it. You can feel the click as you move your way around the dial. That satisfying click may bring you some comfort if you’re nervous about grinding your own coffee beans. Lever release grinders aren’t that different from self-holding grinders in the way they work. In this case, you hold down a lever, twist a dial (you won’t feel any clicks) and then let go of the lever when you get where you want to be. When you let the lever go, it pops into place to hold the setting you want. Stepless grinders are a bit more advanced and they give you all the control you could dream of in a grinder. Because there are no “steps” and it doesn’t click into place in order to grind one size or another, you have an infinite number of options. Just turn the knob to exactly the point you want it. Want the features at a glance? There’s a lot to learn when you’re trying to decide on the best coffee grinder for you. Use this as a quick reference chart to help you digest all the information. Beyond the burr versus blade and manual versus electric debates, plus the conical versus flat burr decision to make, there are a few other things to think about. These won’t play quite as big of a role in your search for the best coffee grinder, but they’re worth mentioning. While the end result is your ultimate concern, the noise involved in the process of grinding the coffee may also be a concern for you. Conical burr grinders will be quieter than flat burr grinders because of their lower RPM and less powerful motors. Manual grinders will be the quietest of all, of course. If you’re worried about waking up the family when you’re trying to make your morning brew and enjoy it in silence, a manual grinder may be your best option. If you don’t want to go that route, the conical grinder will be the next best option. You know by now that the blade coffee grinders produce a lot of heat and can affect the flavor of the coffee beans. These aren’t the only ones, however. Burr grinders can also create heat. Conical burr grinders make less heat than flat burr grinders. Conical burr grinders have a lower RPM—which means less friction. Less friction means less heat. If you don’t want a lot of coffee to go to waste (who does?) and it fits all of your other needs, consider a conical burr grinder just because it’s less likely to hold on to particles of coffee after grinding. The flat burr grinder’s shape tends to trap the grinds. Having small bits of ground coffee left behind could make your next batch (or several batches) of coffee taste less fresh than it could. If you plan to spend time carefully cleaning your grinder often, this may not be an issue. If you’re looking for a lower-maintenance grinder that gives you delicious, flavorful coffee, a conical burr grinder will be a better bet than a flat one. Plus, they’re easier to clean overall. In general, the more complicated your machine has, the more pieces it will have. That means there’s going to be more cleaning involved. Keep this in mind when you choose the best coffee grinder for your needs. Sometimes, the benefits of a machine with more pieces will outweigh the inconvenience of more time spent cleaning it. It just depends on what you’re willing to do and what’s more important to you. The type of grind you need will largely dictate what the best coffee grinder is. 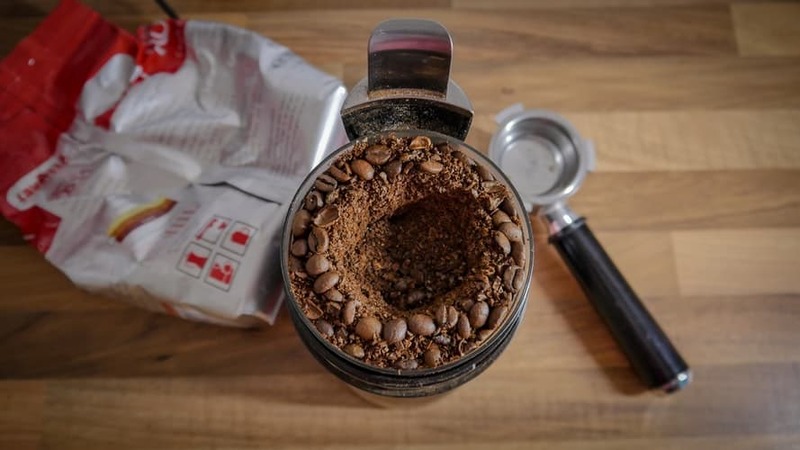 If you plan to use your grinder to get several different types of grinds for everything from a French press to espresso, see which one shows up across all the categories you’ll use the most and look into those. If you’re going for a coarse grind, there’s a good chance you’re hoping to get the most flavor out of the French press or pour over method as possible. In this case, a flat burr grinder would be ideal. The uniform grind—compared to the bimodal distribution of coffee ground in a conical burr grinder and the mix of sizes you’re likely to get from a blade grinder—will yield much better results for a French press. Ah, the happy medium. You can’t go wrong with a burr grinder (either type is fine), but even blade grinders are okay if you’re in a pinch and on a budget. A conical burr grinder will be best if you’re making espresso, but a flat burr grinder will also work if you’re able to pull longer shots on your machine. 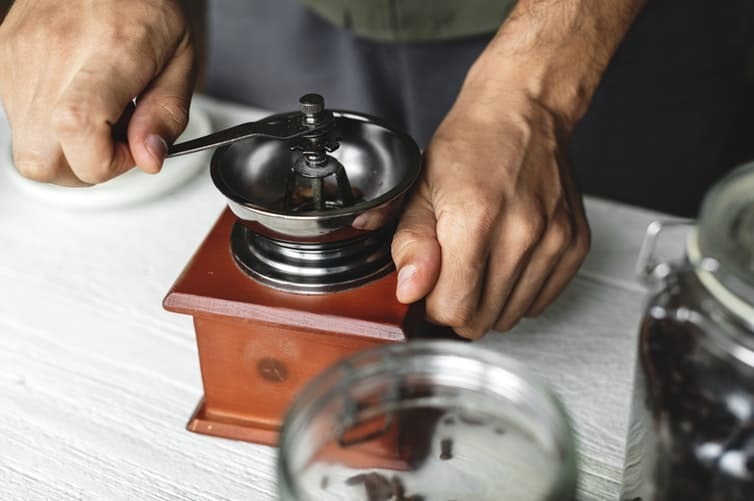 If you’re looking for a very fine grind, you’ll have the best results with an actual Turkish grinder, which is relatively small and operated by hand. You’ll need a finer grind than what’s available on most other types of grinders. Keep your eyes peeled, though, if you want a grinder that gives you a very fine grind but isn’t so specific to Turkish coffee. They exist, but they’re rare and likely to be expensive. 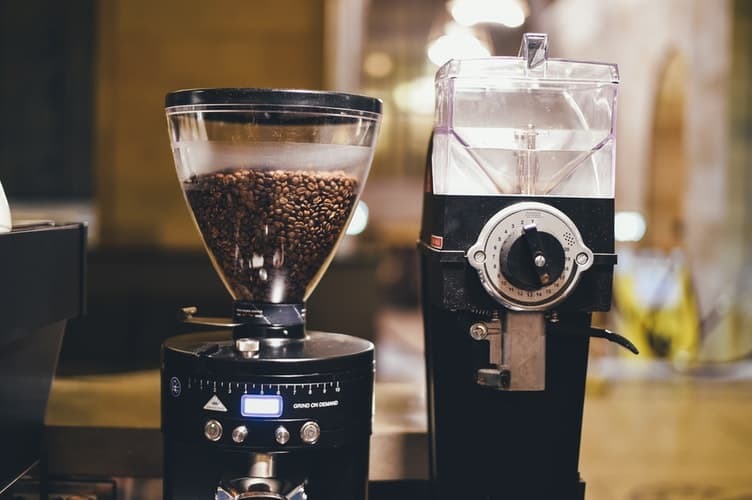 If you enjoy drinking flavored coffee sometimes (as in, it’s flavored when you buy it, not just after you add syrups to it), you may want to keep your eyes peeled for an inexpensive coffee grinder to have on hand just for the flavored coffees. It’s next to impossible to get the flavors from flavored coffee back out of your grinder, so they can affect several batches of coffee beans long after you’ve enjoyed your cup or bag of flavored coffee. Of course, taking the time to thoroughly clean the machine is still an option, but it’s a difficult chore. 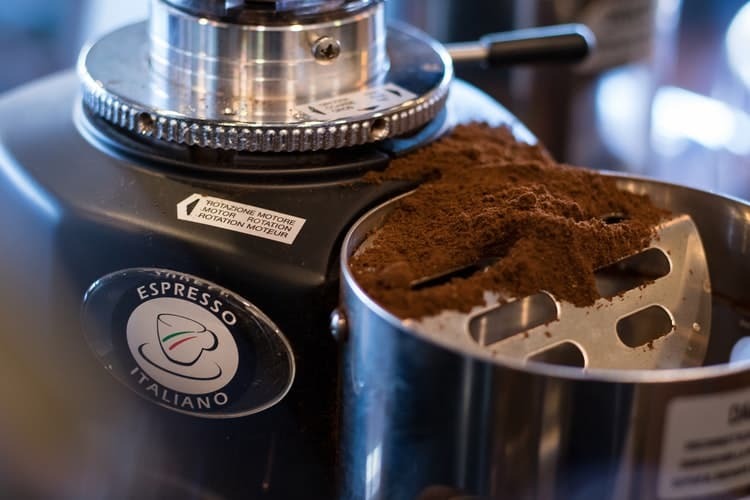 Whether you go the second coffee grinder route will depend on how often you drink flavored coffee, your budget, how much time you want to spend cleaning your grinder, and how much storage space you have. Well, what do you need it to do? Burr grinders are going to be better than blade grinders in general, but from there, it’ll depend on the type or types of coffee you’ll be making. You’ll also need to consider how often you want to clean your grinder, how much control you want, and any features you would prefer.